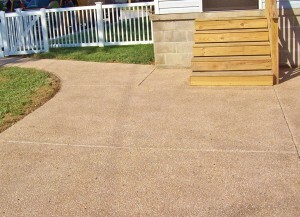 Exposed aggregate concrete is a decorative and functional type of concrete finish. Concrete is a mix of sand, cement, water, and aggregate or stone. The ratio of theses elements is adjusted to meet the project. An exposed aggregate surface is obtained by pouring the concrete and then removing the outer ‘skin’ of cement paste to uncover decorative coarse aggregate. Spectacular effects can be achieved using an exposed aggregate finish at a reasonable cost. An exposed aggregate surface is rugged, non-skid and resistant to heavy traffic and weather extremes. 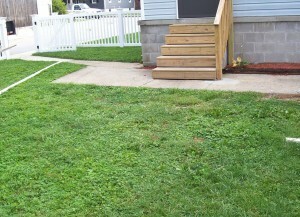 Little maintenance is required, other than occasional cleaning (see procedures for plain concrete) and resealing. The rugged and nonskid surface that is resistant to heavy traffic and extreme weather. 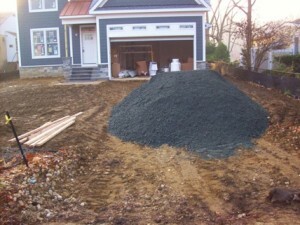 A variety of decorative aggregate is available to achieve unlimited color and texture designs. Highly versatile and will create and interesting contrast with plain concrete or other decorative treatments such as stamping, stenciling, and staining. Requires very little maintenance other than sealing and occasional cleaning. We can use exposed aggregate either on its own or combine it with other elements to create a unique design. Decorative Joints: Place exposed aggregate in bands or fields separated by joints, wood divider strips, or bands of contrasting decorative treatments. Stains: Use chemical stains to highlight elements in a pattern of exposed aggregate. 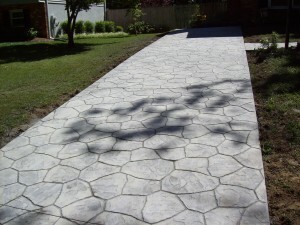 Various Concentrations: Easily create the look of a gravel pathway by using high concentrations of aggregate at the surface. To finish and seal the exposed aggregate all that is required is applying a transparent concrete sealer. 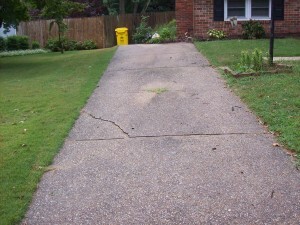 A sealer will serve to protect against freeze-thaw damage, staining, deicing salts, and abrasion. 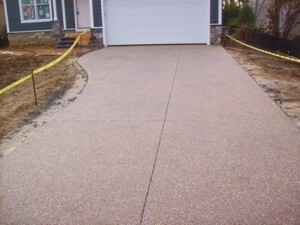 A sealer will also enhance the color of the aggregate, accentuating its depth and richness. Exposed aggregate concrete is a product we love using due to its versatility. No two projects are alike! 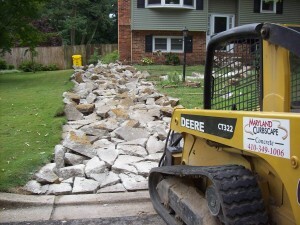 MD Curbscape will break up your existing driveway and remove the debris. New driveway with Exposed Aggregate Concrete and stamped design.